Determining which US agency regulates veterinary products can be very different from regulations as they apply to human pharmaceuticals, biologics and devices. Veterinary products in the United States, such as veterinary vaccines, drugs, ectoparasitics and certain veterinary diagnostics require formal approval processes to be legally marketed. However, other veterinary products, such as supplements, IV fluids, biomarkers, and medical devices may not require a formal approval process, but may be subject to certain labeling and manufacturing requirements. 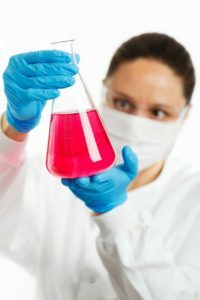 For most products, there are three primary US regulatory agencies which regulate veterinary products including the Food and Drug Administration Center for Veterinary Medicine (FDA-CVM), United States Department of Agriculture Center for Veterinary Biologics (USDA-CVB) and the Environmental Protection Agency (EPA). In addition, the Association of American Feed Control Officials (AAFCO) may regulate the sale and distribution of animal feeds and animal drug remedies. Prior to starting development of a veterinary product or technology, it is important to understand which veterinary regulations apply. The regulatory purview can affect study requirements, labeling, manufacturing, and distribution of the end use product. In most cases, the regulatory purview is based on the product’s mechanism of action (chemical reaction within the body, metabolism, immune modulation, topical insecticidal, etc.). The following generally describes the various veterinary regulatory agencies and the veterinary products they regulate. Veterinary nutritional products and supplements, including veterinary nutraceuticals, are regulated by the FDA-CVM. Veterinary nutraceuticals are regulated by discretion, and should be manufactured and labeled according to FDA-CVM policies. Veterinary vaccines and veterinary biologics are regulated by the United States Department of Agriculture – Center for Veterinary Biologics (USDA-CVB). These products must undergo testing to ensure safety, efficacy, potency and purity before being eligible for sale and distribution within the United States. Certain veterinary diagnostics including point-of-care pathogen diagnostics are regulated as veterinary biologics by the United States Department of Agriculture. These products must meet sensitivity and specificity requirements, in additional to other criteria, to be eligible for sale and distribution. Although point-of-care pathogen diagnostics are regulated by the United States Department of Agriculture-Center for Veterinary Biologics, reference laboratory assays may not require a formal USDA approval. Biomarker assays, hormone assays, CBCs, chemistry panels, and other reference diagnostics services may not require USDA approval. The recent developments in cell based therapeutics has crossed over into the veterinary market. Veterinary cell based therapies can be regulated by either the FDA-CVM or FDA-CVB, depending on their primary mechanism of action. Should the primary mode of action be immune modulation in nature, then it is likely the veterinary cell based therapy will be considered a veterinary biologic and fall under the purview of the USDA-CVB. All other veterinary cell based therapies will likely be regulated by the FDA-CVM as a drug. Veterinary ectoparasitics are those products which are used for the control of fleas, ticks, and other ectoparasites. These products are under the purview of the Environmental Protection Agency (EPA) and must undergo testing and approval before being eligible for marketing, sale and distribution.